Benefit is safely one of my favourite makeup brands. It has my favourite bronzers, highlighter and mascaras. Although I haven't tried everything I thought I'd describe what I like most, and the other products I've tried. In October, my friend over at Lost in Coffee bought me the Blushin' Babe gift set. Inside it included the Watt's Up! highlighter, They're Real! mascara, They're Real! push-up gel liner, Hoola bronzing powder, Dandelion blusher, Rockateur bronzer, Coralista blusher and Sugarbomb bronzer. I love the high beam highlighter of theirs, and hadn't used it in years. It gives a lovely healthy, natural glow to your skin and is fab for makeup trends like contouring or strobing. I probably don't do either in the right way, but put it on my brow bones, cheeks, on my chin (to attempt to disguise my double-chin) and the bridge of my nose spreading any excess onto my forehead. As you can tell, I LOVE that highlighter! Therefore I was excited to try the Watt's Up! highlighter, This one has more of a gold tone to it so I was a bit reserved trying it. I thought it might not suit my very pale complexion. However I loved it on, and goes on well with a decent bronzer. Other favourites in the set included the Rockateur, Sugarbomb and They're Real! mascara. I've used Rockateur before and love it on. My Mum bought it either for a birthday or Christmas; I can't remember and fell in love with it. I love that it gives me some colour and use it most of the time. I always used to use blusher as I'm pale and therefore used to feel bronzers don't suit. With more blonde to my hair, I now prefer more of a bronze than blusher. I also really liked Sugarbomb as it wasn't too bronzed and had a blend of colours to try. I'm guilty of already trying the mascara, but like how it adds length fast and can separate the lashes well. Just what you often need. People often complain it's difficult to take off, and pulls off lashes in the process. I would have to agree to some extent, as it has done this in the past for me. However, now that I use Liz Earle, I find if I don't rub too hard, it comes off with some patience. I also liked the "english rose"colour that comes from Dandelion. Using a Boots gift card, I also treated myself to the Girl-a-rama gift set. Inside it has the Roller Lash mascara, Porefessional, Benetint, Coralista, Rockateur and They're Real! duo shadow blender. As I mentioned about the previous set, I love Rockateur, but the way it comes in the set, you can mix it with Coralista which adds something different to the tone. Sometimes I like mixing different bronzers with blushers. I think on it's own, Coralista is a bit too orange for me. However added with the other bronzer, it makes a lovely healthy glow to my cheeks that I love! Benetint was also the first Benefit product that I tried, I love the quality and how easy it was to use. I also like how you can use it for both lips and cheeks. I liked the colour on cheeks and was keen to use it again. However don't feel it suits the tone of my skin anymore. It can still blend well with a bronzer for a different colour again. I also liked to use it a bit on my lips too. The eyeshadow is fantastic. It can last all day, and I blend the two colours together. I love the roller-brush that comes with it, as I find it really helps to blend the colour well. The colour is gold, but also not too much. I love it and recommend it to anyone to try. If I can use it and feel fabulous, anyone can use it! Roller Lash is by far - my favourite mascara. You don't need much to build up volume. I'm saving it for when I've finished my other mascaras and can't wait to use it again. You can choose how much you're willing to spend on a brand too. The people who make Benefit also make Dior and Boujois, so there is something for every budget. Having tried both ranges as well, the items are still great. Dior is obviously the high-end of the brands, but Boujois is definitely fun to start with. It was one of my favourite brands of a teen - loving the blushers, eyeshadows and mascaras. Although I've focused entirely this post on Benefit, this is not a PR post that I've been paid or asked to do. I actually plan to spotlight on a few more of my favourite brands in the coming weeks. Let me know if you like this post. I don't write about beauty often as I feel quite clueless in that area, but have been inspired to write a few more as I have been trying new looks on myself recently. High Beam is so good - I've run out and need to restock! 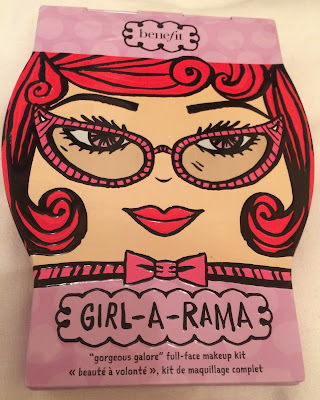 I really like Benefit's packaging AND the products are great too, which is awesome! 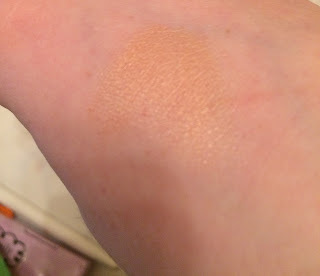 I love High Beam but I have recently moved onto their Watts Up highlighter. I love Benefit I and have a few products but love using PoreFessional. I can not wait to try the other products. It is definitely one of my favourite brands too. Never really used benefit - I had a blush once which was really delicate. Brilliant! I am a big benefit fan! I love their Browzings, roller lash and ka-brow. I do need to try a few more of their products so thank you for the review. High Beam is first on my list! This is such a wonderful little kit. I love the Benefit highlighter too. I'm a huge Benefit fan too, High Beam and Roller Lash are my absolute faves. I haven't use any of these products, but wouldn't mind checking them out. The highlighter looks good. i bought some benefit products yesterday and its always a brand i go back for more. I love Benefit - Hoola is the best bronzer and I love Benetint and High Beam too. Boujois products have always agreed with me and have been using them for a while. (I Love their nail varnishes) so I'm excited and inclined to try Benefits. The sets look amazing, like you said, it looks like there's a little for everyone. High beam does not suit me but I do like Dandelion. Their mascara is the best it really opens my peepers. 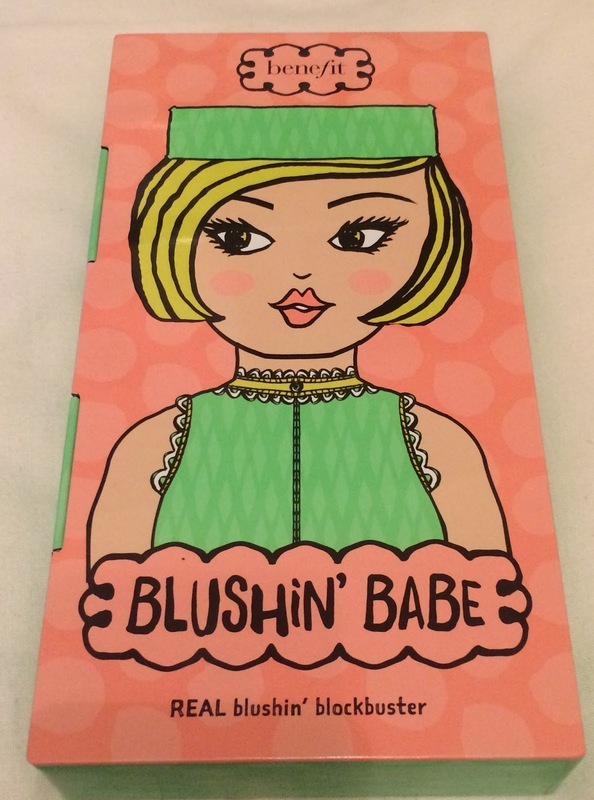 The Blushin' Babe palette looks amazing! A great way to try out all of the blushers! I love Benefit products. The gift set sounds really good with a lovely range of items. I have to try it and haven't tried their products yet. I was crazy on Benefit for ages dont tent to use much of it too much now but do still like the sets they do like this. I love how each package serves so many make-up purchases! I really need to try their products! Benefit have some great products. I love their blushers. oh i love benefit and have just run out of porefessional so need to pick more up! I haven't heard of this brand but it does look fab. I love Benefit. Such a great brand and love their packaging too. I love the names Benefit give their products. Always makes me smile. I love Benefit products and I would love this set! The highlighter looks amazing! I love this set - benefit beauty products are some of my fave, I used to use them all the time at college! I have never tried any benefit products, but I am always hearing great things about them. I will pick some up and see what all the fuss is about. I genuinely have never heard of benefit as a brand, but then again I chose my brands ages ago and stuck to them like glue. I need to look outside my preferences for my daughter at least! I've never tried a single Benefit product but it sounds like you really love it! Must take a look next time I'm shopping. I really love benefit products and the high gleam highlighter is something I've been dying to try! i really need to get me some benefit products! Benefit is a great brand. I have used a few of their products. Love them. Por-fressional is actually thee best thing ever. I swear by it. I love most of the stuff they produce. I'm a huge benefit fan! Couldn't live without benetint! 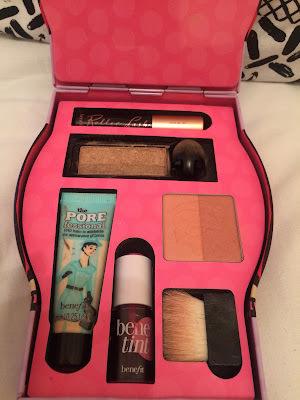 Benefit is a lovely product range and I love it. Such good products. Aww I love the packaging of these products! So cute! See I actually LOVE the Benetint, and feel like it suits me perfectly! It's such a handy little thing to keep in your handbag too! Benefit is such a great brand, I love their brow wiz! Benefit is a great brand! I really love the high beam too. I love high beam! And benefits packaging is my favourite - I used to keep the packaging and re cycle it when I bought a lot of benefit. Great post. You shouldn't feel shy about doing beauty posts- I love to hear what other people think of products before I buy them. What to know about a subcrawl?